Originally named "Crotty Town" after its founder Jeremiah Crotty who was the first to start a residences in the area of Seneca, IL in 1850. In 1865, the town was incorporated as Seneca, Illinois. Currently a town of 2,300 some people, the town's rich railroad history includes big names such as the Chicago, Rock Island, and Pacific and lesser known railroads like the Kankakee and Seneca railroad. The town was also a location where the Illinois and Michigan canal ran through and is settle along the banks of the Illinois River. Currently, CSX Transportation operates the old CRI&P line and the spur that remains of the original K&S. Along the K&S, a chemical factory dealing with hazardous loads keeps a long lost piece of railroad history alive, and the mainline has a grain elevator/silos adjacent in downtown Seneca who are a modern grain elevator. Interesting, an older elevator is still around. Built in 1861-1862 (before the town was known as Seneca), "Armour's Warehouse" exists today as one of the oldest grain elevators along the old I&M canal and was serviced by the Kankakee and Seneca at one time. Overall, Seneca is an enriched town with too few trains to reflect the rich railroad history within. I found it an enjoyable place to visit and it left me with many reminders of how a little cooperation and bring about accomplishment. 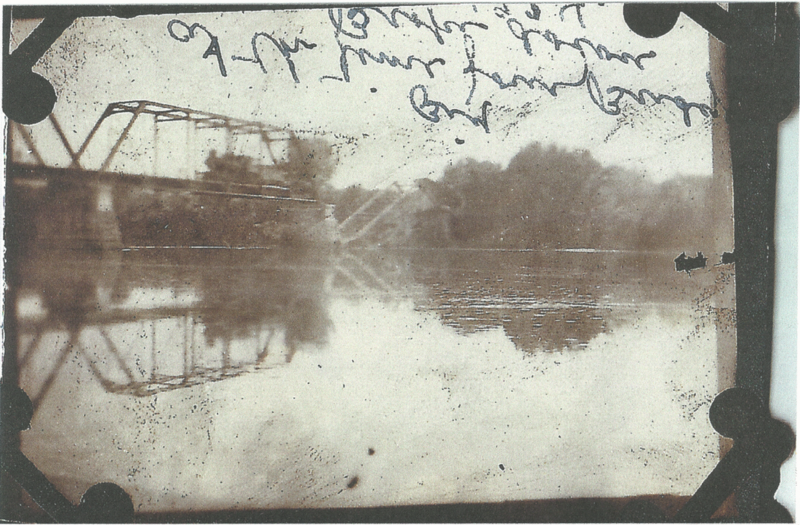 The above bridge was built long before the photo of it was taken in 1914. A new bridge today stands with a lift section in the middle that allows boats and barges under it currently used by CSX Transportation.